Ombre brows are a popular technique that pre-dates microblading but has similarly effective results, depending on the look you want to achieve. Ombre brows allow clients for clients to fill in their brows with a darker color and optimize them with a shading effect. Prior to the ombre service, we’ll advice you on some preparation tips to help you get ready for the procedure. The procedure is fairly simply and can be completed quickly, but its results and longevity will depend on how well you prepare and take care of them afterwards. If you’ve desired a darker looking brow that only makeup has been able to give you, ombre brows may be an option. 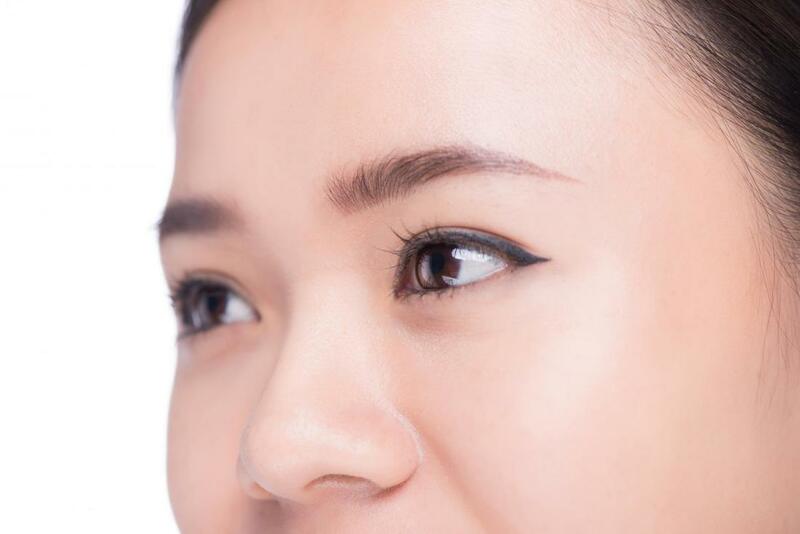 Their appearance is a light to dark effect that slowly fades over time, but can give you the same brows that your favorite brow pencil does, even without makeup. The brow powder is long-lasting, waterproof and smudge-proof, so you can keep the appearance of your brows long after you’ve removed your makeup. Our selection of ombre brow shades is customizable, coming in a variety of colors and shades to match your hair or desired look. The overall effect of ombre is to give the eyebrows a darker yet faded look. Ombre is done by lightly dusting the powder component on the bulb of the brow and gradually darkening it towards the tail. This gives the entire brow a light to dark effect that is desired and popular. Ombre brows will fade over time, leaving this fade to resolve naturally and give your brows a more authentic look as it disappears. If you’ve got fuller brows but regularly fill them in with makeup to match your hair or would like to enhance their color overall, the ombre service is for you. The ombre service leaves a lasting effect on your brows long after you’ve taken off your makeup or filled them in. It’s a non-invasive process and doesn’t require the tools and needs that microblading does. Rather, it uses a dark powder pigment to fill in the brows entirely, leaving it to fade gradually over time or until you receive another touch-up. The ombre services do not pose any health concerns for clients, making them more accessible to general clients. Ombre brows are preferred for clients that want darker brows almost instantly. The healing process is minimal in comparison to microblading, as most clients can easily return to their daily routine after ombre services. Clients can also enjoy the longevity of ombre brows, as they’re able to last on most clients for a couple of years without the need for a touch-up. The pigment used is still semi-permanent, so if you decide to remove it in the future, you can easily do so. If you find that your ombre brows have begun to fade to a color or shade you dislike, we can easily add more pigment to your preference or give you touch-ups that will revitalize them.